LOVELAND, COLORADO, USA – Aleph Objects, Inc., makers of LulzBot 3D Printers, has added colorFabb BV to its growing European reseller network. The partnership brings two premium brands in desktop 3D printing even closer together; Aleph Objects is also a reseller of colorFabb 3D printer filaments. To support this partnership, Aleph Objects completed extending its acclaimed technical support to 24/7, making their Colorado-based team of experts available for telephone and email support around the clock. ColorFabb recently moved into a new state-of-the-art facility allowing greater filament production throughput and warehouse capacity. An inventory of LulzBot 3D printers will be maintained in the Belfeld, Netherlands facility, allowing quick delivery to colorFabb’s customers throughout Europe. “We are excited to bring our cooperation with Aleph Objects to the next level by adding the highly popular LulzBot Mini and TAZ 6 printers to our webshop and our European customers. The combination of the LulzBot printers and our portfolio filaments will result in a great customer experience. The new production facility of colorFabb will deliver filament production, materials testing and efficient European distribution in order to provide more value for both brands,” colorFabb CEO, Ruud Rouleaux said. Aleph Objects maintains inventory of 3D printers, parts and plastics in the United States, Canada, the United Kingdom, and Australia. By expanding its international reseller network, prospective customers in even more countries have opportunities to purchase LulzBot 3D Printers locally. To bolster support for its customers in 80+ countries, Aleph Objects’ Colorado-based technical support staff is now available for email and telephone support 24-hours-a-day, seven days-a-week. “Supporting our users is critical to us. With 24/7 access to our technical support team of 3D printing experts, LulzBot users can get the help they need, no matter their timezone,” Kenny said. Aleph Objects has been steadily expanding its global reach since its founding in 2011. Apart from inventory in the United States, inventory in Canada and the United Kingdom has been in place since 2014, with an Australian warehouse added in Spring 2016. In addition to carrying regional inventory, Aleph Objects has been expanding its reseller network to offer local sales support. The desktop 3D printing industry flight to quality continues. With premium brands finding more ways to collaborate, customers win, with new purchasing options and better support. 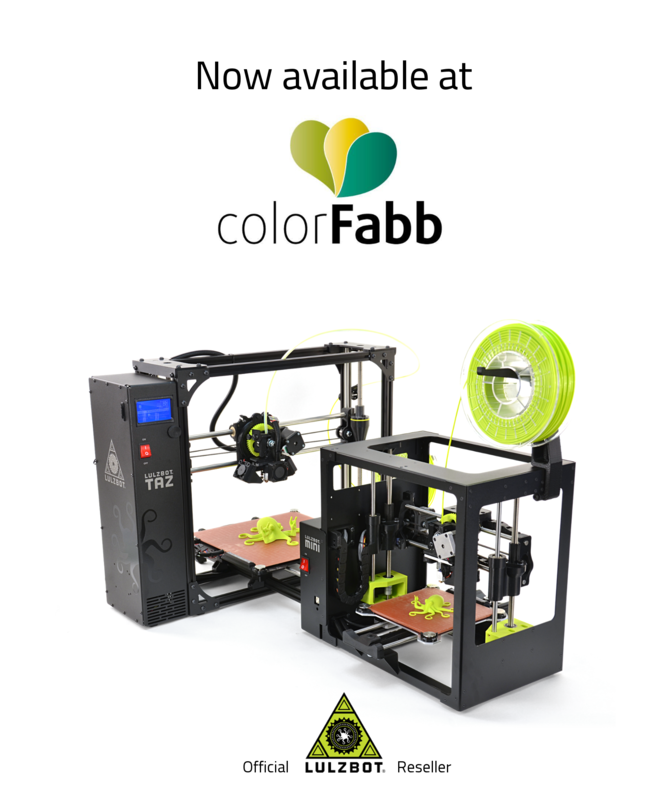 LulzBot 3D printers can be purchased through the colorFabb web store at colorfabb.com/printers . LulzBot is a registered trademark of Aleph Objects, Inc.